There are few great frontiers left in the world - the Franklin is one of them. Free of pasture and any human habitation, it is a veritable feast for the intrepid explorer. 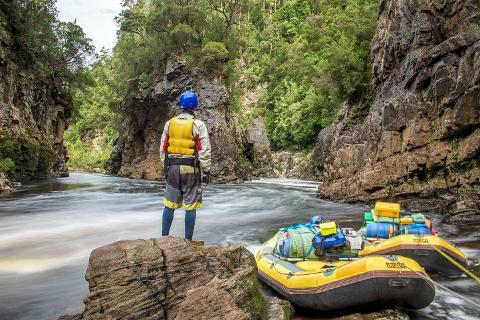 Rafting down this superb river is the only way to truly appreciate its wild beauty. 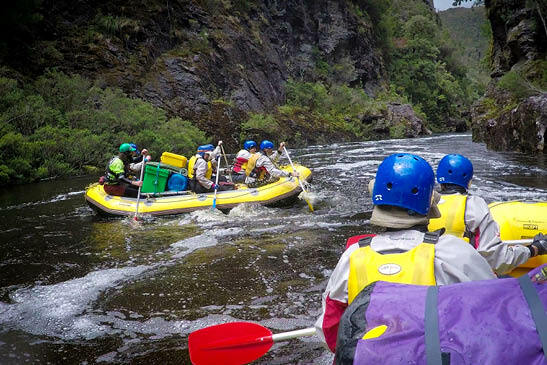 It is acknowledged as one of the most spectacular and challenging river trips around, attracting adventurers from all over the world. The opportunity of an expedition-style trip, rather than merely "thrills and spills" makes this the ultimate wilderness experience. At times on the trip, like all great expeditions, there will be times when patience is required. 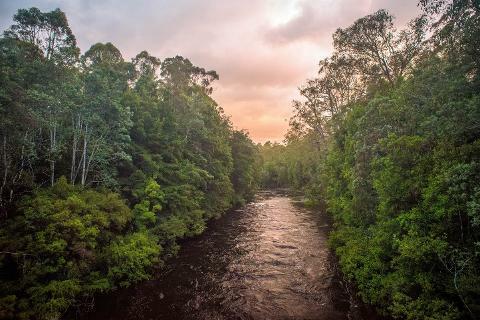 However, you will be one of the privileged few to have experienced this relatively untouched wilderness area - one of Australia's most scenic and prized destinations. The Franklin is a physically demanding journey and you should be reasonably fit. You must be prepared to help carry equipment and scramble up steep portage tracks. 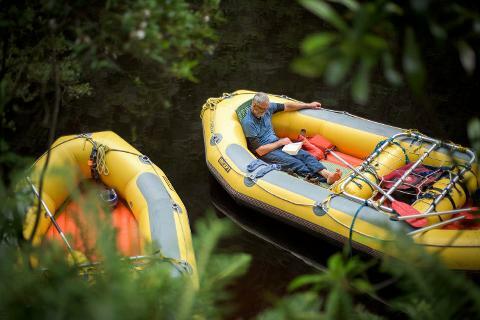 This is definitely a wilderness experience rather than the kind of rafting you might encounter on a one-day rafting trip. 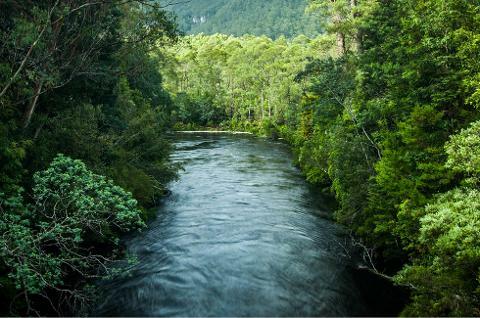 The water levels can vary dramatically, even during a trip. 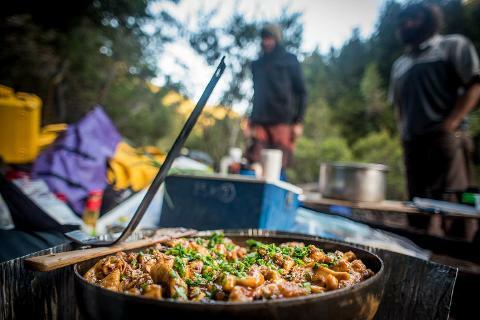 If you have had experience in remote wilderness areas and think you are ready for this adventure, then the challenge is yours. There is no doubt that this is an unforgettable experience, one that you will remember for the rest of your life. Please note that a compulsory pre-departure briefing is held the day before the trip commences at 2pm, so you need to be in Launceston the day before the trip departs before 2pm. Weather permitting we climb to Frenchman’s Cap from our base camp at Irenabyss. We will enjoy the spectacular view from the summit, looking out over the whole of South West Tasmania. Depending on the weather conditions, we will attempt to summit and return in one day. The two days allows us some flexibility to make the best of the conditions. Takes us to the Rafters Basin and out of the Great Ravine. We paddle and portage through Coruscades, Livingstone's Cut, Thunderush and the Cauldron to the Mousehole. It is only a 2km paddle now from Mousehole to Rafter's Basin where we camp for the night. The Black Forest or Newlands Cascades is our destination, depending on weather. If it's raining, Newlands Cave is the place to be, and we camp under an impressive, large rock overhang. 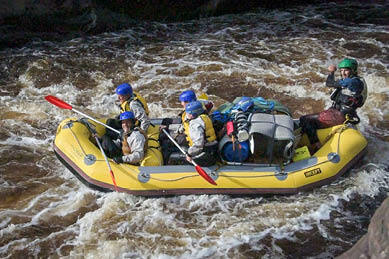 Today's we paddle through Propsting Gorge and some of the Franklins best rapids. After lunch, Newlands Cascades, the longest rapid on the river, will have to be negotiated en route to the campsite. Straightforward paddling to Blackman's Bend through the deep temperate rainforest of the lower river that was protected by the environmental protests of the early 1980's.